As Kenyan artistes continue with the impressive showing of togetherness, another group of local acts has come together for a project. Who would have thought that The Kansoul would one day jump on a track with Kisii rapper Raj? The two rather accomplished music acts have done one better by including an upcoming singer – Lofe. 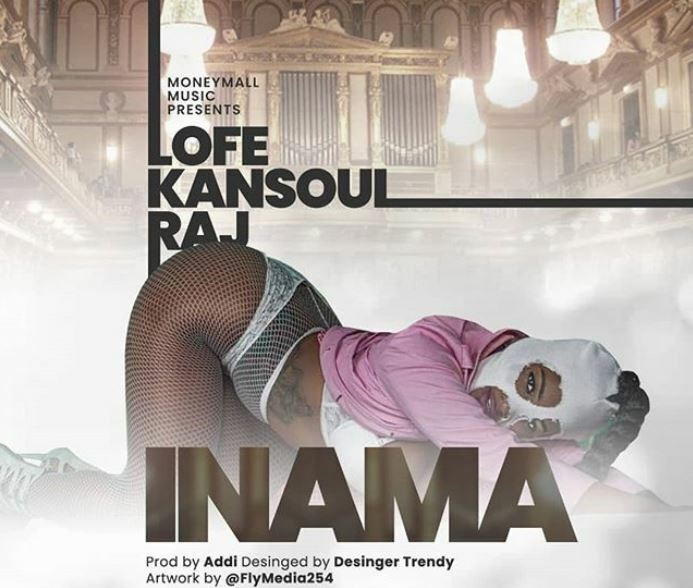 The trio’s project is titled ‘Inama’, a banger produced by Addi of Moneymall Empire. The Kansoul of Maddtraxx, Mejja, Kidkora, Raj, and Lofe are hoping that ‘Inama’, Swahili for Bend Over, will rock the club scene for the rest of the year. We are not too sure about that but it’s still a decent project. Raj, in particular, stands out alongside Kidkora, for having stronger bars than the rest. Check it out below. Rating 7/10.